The social media-verse is such a small place! 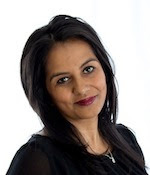 Just this week alone, I have come across quite a few existing or former lawyers in the UK who have taken up their secret passion for food to start a blog, write a book or offer cooking classes and more. It is so inspiring to know that I am not alone or crazy in making this transition in my life. It seems that among all the analytical and intense work regime, there is a budding chef waiting to lose him/herself in a world of edible creativity. Almost all of my blog posts to date have been about the health benefits of spices which is my new found passion but in this post I want to humanize my blog and business. For those that do not know me, I think to understand where I am at is to understand where I came from. My journey in this world started in Kenya and then I grew up and worked in London, England for most of my life until a few years ago when we moved to Canmore in Canada. For those that do not know Canmore, it is a world away from the big city life. It is nestled in the Canadian Rocky Mountains and just a mere 15 minutes away from Banff National Park. It is also a place where so many people come for a lifestyle change and end up reinventing themselves. So it seems I have have found the right place to not just change countries but career path too! Food is such a big part of Indian culture and despite never taking an interest in cooking it until I went to university, I have always loved food! When I reflect back on how my taste buds have evolved, it is interesting to see that I have gone from a sweet tooth child, vegetarian to a pescetarian being in food heaven at gourmet restaurants and now am a vegetarian some days, vegan others and pescetarian others but I am all about whole & organic foods now. The one constant in my food journey has been that if I can't eat healthy or home cooked food, I would rather not eat at all. Of course, like anyone else, I give in to my vices every now and again but life would be boring without them! In the last decade, it has all been about entertaining, experimenting and experiencing for me! They say "home is where the heart is" - for me the kitchen is where the heart is (sadly, the picture above is my dream kitchen and not my real one!). As part of the lawyer life, it became a welcome therapy and escape and it still remains my source of relaxation (in addition to other pursuits I have a bit more time for nowadays). When I cook from the heart, it shows. It is also inexplicably rewarding when someone I cook for really enjoys my food because it means I have opened them up to experimenting, experiencing and being entertained too! If I had to classify my cooking, I would say it was contemporary Indian but really I cook a lot of international food and of course there is at least one spice in almost all of my dishes, making it fusion I guess. I remember as a child I could never understand why my mother for putting spices into a pasta dish and now I find myself doing the same! There is a probable reason why India has the lowest incidence of Alzheimer's, why Ayurveda has been an effective therapy used for centuries and why food from the Indian subcontinent is so tasty - SPICES! With all the wonders spices bring to this world, I live to cook and cook to live. How has food changed your life? One of my resolutions for the new year for Spice Sanctuary was to organize a fundraiser and so here I am posting a blog about it! Usually fundraisers involve some physical challenge and a lot of commitment. I wanted this fundraiser to be simple yet effective in not just raising money for a good cause but to promote my mission, which is to encourage people to incorporate spices more into their daily lives. I also wanted it to be something your friends and family across the country could get involved in. So here it is, a fundraiser that involves eating, is healthy for you and easy to commit to! 1. Anyone resident within Canada can participate*. One entry per person. 2. A donation of $10 per entry together with a valid email address will apply. 3. Donations can be made via cheque or online**. Please let us know if you wish your donation to go to only one of the two chosen charities, otherwise your donation will be split equally between the two. 4. Upon receipt of the donation, we will email you a calendar for May. 5. 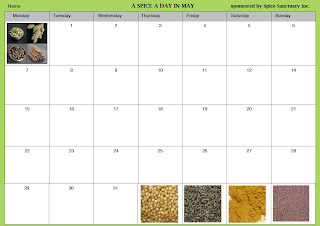 Throughout the month of May, you will need to complete the calendar with the names of the spices you consume each day. 6. To be eligible for the prize draw, there must be at least one spice eaten and logged everyday during the month. 7. Please email us back your completed calendar(s) by no later than June 10, 2012. 8. The prize draw will take place on June 11, 2012. 9. Prizes will be given for the entry with (a) the highest number of spices consumed throughout the month (this can include the same spice multiple times and use of a spice blend will equal 3 spices) and (b) the most amount of different spices used. Where there is a tie, a draw will take place for these prizes. 10. 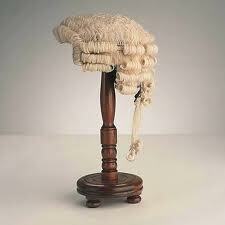 There will also be a prize draw for all other entries. *If you live outside of Canada, you can still participate but you will not be eligible for the prize draw. **online donations only available once our store website is live. 1. We will donate an additional 15% of all donations received for each charity. 2. We will provide support throughout the month on recipe ideas. Dream a Dream is an Indian based charity founded in 1999. Its mission is to empower over 3000 children from poor socioeconomic backgrounds with critical life skills through sustainable engagement in sports, creative arts, IT skills, mentoring and adventure camps. We really hope you can help us raise us much money as possible! Making a good Cooking Class GREAT! For the past couple of years, I have now been on both sides of the kitchen table (so to speak), both as a cooking class participant and instructor and so I thought of writing a few recommendations on how to get the most out of any cooking class you take. These are also principles that I try to follow when giving cooking classes (which hopefully my students will attest to being a positive experience!). 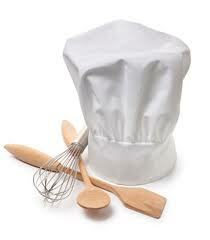 Typically, most cooking classes are offered either as hands on or in a demonstration format. Which one you choose is really a personal choice on whether you wish to watch someone do the cooking or want to get stuck in yourself. It also depends on whether you are attending a public class or having a private class for a celebration. I think what is more important is the size of the class. The smaller the class, the more benefits each student will get from the class. You naturally have more opportunity to ask questions and to get fully engaged in the class. An ideal class size, in my opinion, should be 6-8 depending on the facilities and resources available. There are three essentials to take with you. First, take your partner, relative or a friend! Classes are so much more fun if you take someone else. Second, take notes too. Most classes should give you recipes after but you may wish to take down notes on techniques or other advice offered by the instructor. Finally, take some containers to go. Whether you eat the meal at the class or not, take a little bit home with you to have the next day. Most meals taste even better the next day and this will allow you to consolidate what you learnt in the class and really absorb the textures and flavours of the dishes. A cooking class should not just be about learning new dishes or getting new recipes but there should be at least between 3-5 things that you learn throughout the class which will resonate with you. This will be the real value of the class. If you are asked to fill out a feedback form, think of whether you did learn a handful of things you did not expect to or know before and which you will easily remember beyond the class. I am always keen to find out what people want to get out of the class at the beginning so that I can try and ensure I meet their expectations. I only put this one in as I did experience a class where time keeping was pretty poor and it meant that we did not see everything that was being made which was a real shame. With multiple dishes going on, the class should be well timed so no one dish is rushed and every student has ample time to digest how it is cooked. That said, it is better that a class overruns a little than be rushed to keep strictly to the allocated time. There should also be plenty of time to ask questions. It is your class so make sure you get as much out of it as possible. What will make you take another class with the same company or instructor? Excellent food is probably quite high up on the list, rapport with the instructor (especially if it is a celebrity chef!) is huge as are the educational and fun elements but it is usually the littlest things that make a difference. A little gift, a returning customer incentive or wine pairing ideas are all great ways the class provider can leave a lingering impression but they also serve to do a good job at making you feel valued! Depending on what the etiquette is in the country in which you are taking a cooking class, you may be asked to consider leaving a gratuity. I cannot speak for all instructors but for me, gratitude and positive feedback is more important. After all, it is my mission to getting more people to live a healthier and tastier life with spices so if the class is going well, so is the mission! Learn it! Cook it! Love it! If you have any other ideas to share, please leave me a comment! 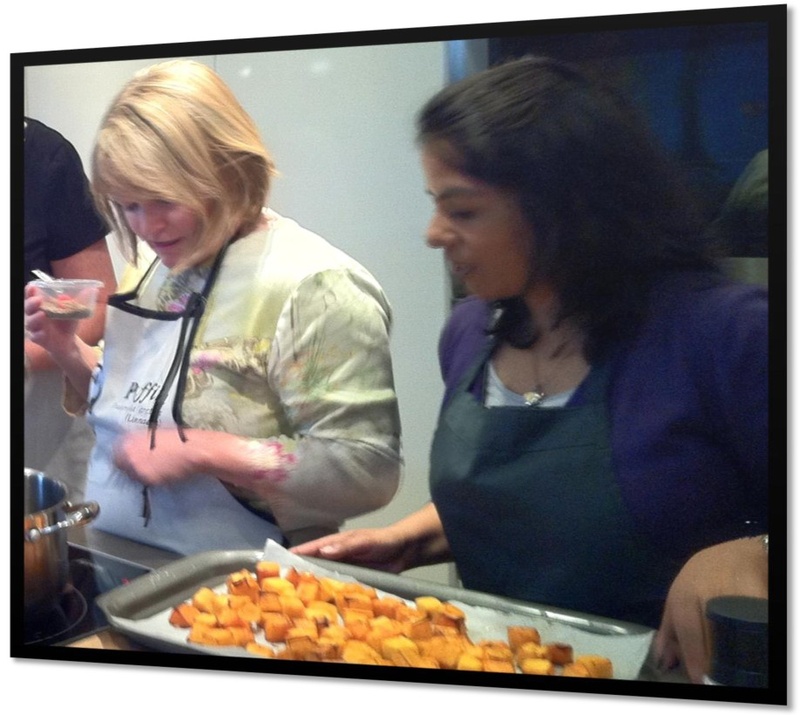 If you are interested in taking any of the cooking classes that Spice Sanctuary offers, please click here for more details. To say that almost all spices have cancer preventative properties would be a sweeping statement but it is actually true. Antioxidants inhibit free radicals that get into the body from oxidizing our cells and tissues which often go onto cause serious diseases such as cancer. Different foods have different antioxidant levels and each of these work differently to help neutralize the free radicals. The National Institute on Aging in the USA developed a system of measuring the antioxidant values of certain foods, the theory being that foods higher on the ORAC scale will be more effective at penetrating the free radicals. 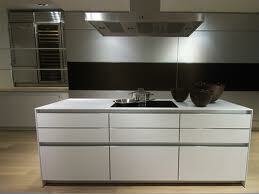 The value is known as an ORAC (Oxygen Radical Absorption Capacity) value. Spices and herbs come really high on the overall scale and among the spices themselves, Cloves, Cinnamon, Turmeric and Black Pepper do quite well. 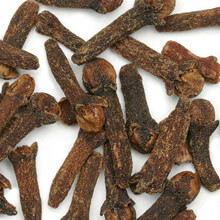 The ORAC value of Cloves is 290,283 which would translate into approximately 3144 units per gram. Cloves can also help with regulating blood pressure, acting as an anti-inflammatory and has good Vitamin A levels. 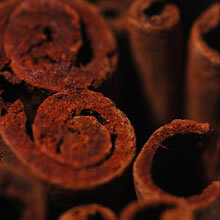 The ORAC value for Cinnamon is 131,420 which would translate into approximately 2674 units per gram. Cinnamon in its true form is a real super spice. From helping with Type 2 Diabetes to Cholesterol control, it is also a good antiseptic and antibacterial. 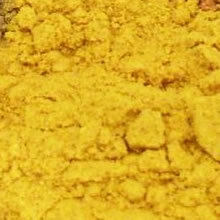 The ORAC value of turmeric is 127,068 which would translate into approximately 1593 units per gram. There have been many studies showing turmeric's positive effects fighting against cancer, particularly breast cancer, colon cancer and prostate cancer. Turmeric is also well known for being an effective anti-inflammatory and it is now being linked to helping with Alzheimer's too. 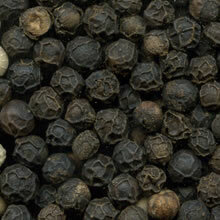 The ORAC value of black pepper is 34,053 which would translate into approximately 306 units per gram. The substance in black pepper that is believed to be the cause of its sneezing effects has been found to increase the bioavailablity of potent cancer-fighter curcumin (the active polyphenol found in turmeric) by 1,000 times, which means that when combined together, black pepper and turmeric pack a powerful anti-cancer punch. One study even found that black pepper and turmeric combined, eaten in normal dietary amounts, was able to destroy breast cancer stem cells. Cancer stem cells are difficult to get rid of with chemotherapy and other cancer treatments. If you like this post, please feel free to leave a comment or share this on Facebook or Twitter as that would help me greatly to continue to raise awareness about just how important it is to have spices as part of your daily diet!